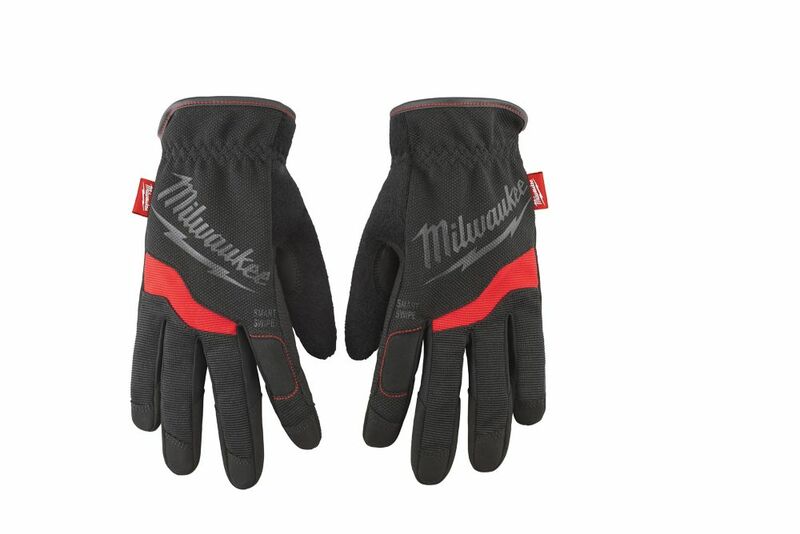 FreeFlex Work X-Large Gloves Milwaukee Free-Flex Work Gloves are designed to provide Ultimate Durability and All Day Comfort. Featuring Smartswipe fingertips, knuckles and palms designed to allow the use of touch screens, and high dexterity fingertips to provide precision when handling small objects. A reinforced thumb seam provides enhanced durability and the Free-Flex elastic cuff ensures the gloves remain comfortable enough to wear all day. FreeFlex Work X-Large Gloves is rated 4.1 out of 5 by 12. Rated 5 out of 5 by Eileen from Very good quality. ... Very good quality. Rated 1 out of 5 by John from Gloves are short and barely reach the wrist. The... Gloves are short and barely reach the wrist. The seams burst because they're sewn with very little fabric. Rated 5 out of 5 by Skywalker from Purchased a 3 pack of these gloves and I love them. The size of xl seems to be correct. So far I ... Purchased a 3 pack of these gloves and I love them. The size of xl seems to be correct. So far I have used 1 pair for yard work, auto repair, quad repair and they are holding up excellent. I will update when they finally give out. Rated 4 out of 5 by claybo from The quality of the gloves are good except if you... The quality of the gloves are good except if you normally wear a large size order an XL or 2XL as the sizes run smaller than usual. Rated 1 out of 5 by Bill from X large they are not. Too small and they don’t... X large they are not. Too small and they don’t come far enough up wrist. Rated 5 out of 5 by Demetrios from Perfect fit and comfortable.... Perfect fit and comfortable. Rated 5 out of 5 by Arwen from I'm glad I found these because they were the perfect gift for my husband. He works with wood alot... I'm glad I found these because they were the perfect gift for my husband. He works with wood alot doesn't like wearing gloves because he hasn't found any that were comfortable and didn't hinder his productivity but knows he needs to wear them. These are thin enough to fit snugly but not restrict and not get too hot but still protect your hands from splinters, etc. You can also still use your phone with these gloves and a really neat feature is that you can use your knuckle instead of the tip of your finger when needed.